Area:Land 3,521 km². Freshwater 507 km². Exclusive economic zone 5,030,000 km². Total reef area: 15047 km². Terrain: Mixture of rugged high islands and low islands with reefs. Geography: 118 islands and atolls divided into five archipelagos. Economy: Important industries are tourism, pearl farming, agricultural processing and handicrafts. Major export commodities include cultured pearls, coconut products, mother of pearl, vanilla and tuna meat. Eucheuma culture was attempted in Tahiti but was not successful owing to low nutrients. Unicellular algae (Chaetoceros gracilis, Isochrysis galbana, Platymonas sp., Platymonas suesica, Chlorella and Spirulina platensis) were cultured for feed for other cultured species. Isochrysis sp. aff galbana named in all hatcheries as Tahitian Iso or T. Iso was isolated in the late 70s from local ponds by Ifremer. The cockle (Tapes japonicus) was introduced for experimental culture and resulted in a marketable product. Availability of suitable sites for grow-out was a problem. Culture trials of carangids (C. ignobilis and C. melampygus) in floating cages and tanks proved promising. They showed high growth rates and very little mortality. Experimental trials of milkfish culture were carried out for the local tuna fishery. The molly Poecilia sp. was successfully cultured as bait for the skipjack tuna fishery. The Philippine green mussel (Perna viridis) was introduced in 1978 and successfully cultured in suitable sites. Hatchery and cultivation techniques were developed by CNEXO. After one year of grow-out, mussels had reached market size. Some pilot farms were developed in Society islands from public hatchery spats, but they never reached a sustainable level. Oysters (Saccostrea cuccullata) were traditionally cultured in some parts of the Society Islands. The Fisheries service distributed seed stock and technical advice. The potential for edible oyster culture was evident. S. glomerata was sold in the local markets mostly from a cooperative of farmers from Huahine, Raiatea and Tahaa. Pacific oyster (Crassostrea gigas) was introduced initially by SPIFDA and by the local authorities from California, USA. Spat were produced at the CNEXO hatchery but mortalities were high during grow-out due to adverse environmental conditions, disease and predators (Polydora sp. and Scylla serrata). Rock oyster (C. echinata) was introduced from New Caledonia and successfully cultured to market size but it was not favoured by the local market because of its harsh taste. Pearl oyster experimental culture trials started in 1961. Initial trials were successful. Early production, though minimal, established the potential of this industry. Farming activities were confined to the Tuamotu and Gambier archipelagos. 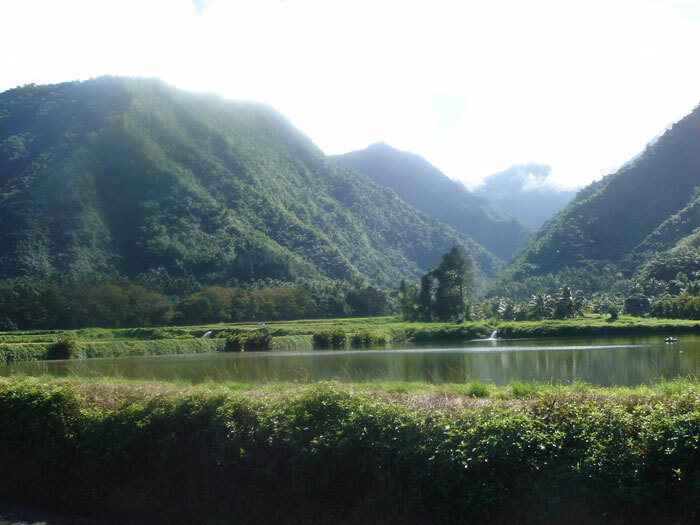 Small-scale production amongst local Tahitian and foreign interests, mainly French and Japanese, developed to commercial farming as a joint venture initiative. Pearl cooperatives were formed and several private companies were established. Research and development has been given the full support of the Fisheries Service and CNEXO. Exports of pearl products made a significant contribution to the economy in the early 1980s. Macrobrachium was present in the freshwater fauna of French Polynesia. Seven species are found in French Polynesia but only Macrobrachium lar was of commercial importance. It was mostly harvested by the locals. Studies of the biology and culture potential of this species were undertaken. At the same time Macrobrachium rosenbergii were introduced from Malaysia. Experimental culture of M. rosenbergii produced juveniles at the CNEXO hatchery, then at the government hatchery. Feed was developed and different culture systems were tested. Post-larvae from the Ifremer then the local government (SPE) hatchery were used to stock few commercial farms that produced up to 20 tonnes in the early 90s. Now, this species is not a priority as freshwater prawn yields (1 to 3 T/ha/year) are far less than that of marine prawns (6 to 20 T/ha/year) that are now reared at low salinity. Experimental hatchery work on several imported marine prawns was carried out at CNEXO's laboratory to determine adaptation and growth and to produce seed to locally reduce costs and risks of importation. Several species were reared at the laboratory for research - Penaeus merguiensis, P. aztecus, P. indicus, P. japonicus, Metapenaeus ensis, P. monodon, P. orientalis, Litop enaeus vannamei, Litopenaeus stylirostris (Panama strain) and P. semisulcatus. Of the penaeid species, P. monodon, Litopenaeus vannamei, Litopenaeus stylirostris and P. indicus were identified as the best species for culture in French Polynesia. Tilapia was cultured by COP for baitfish but was not very effective. A cattle rancher has raised tilapia in concrete tanks. And a few farms produced some Tilapia at low level. Trochus was introduced to establish a fishery in the arcipelago. The local Fisheries Service has experimented with turtle farming. - Develop actual features and any other aquaculture technique suited to local conditions by the future "Centre de la Mer", which will develop activities such as fry production, training, technical assistance, technical application, and strong collaboration with the producers. Pearl culture is a fairly new development over the last 20 years. 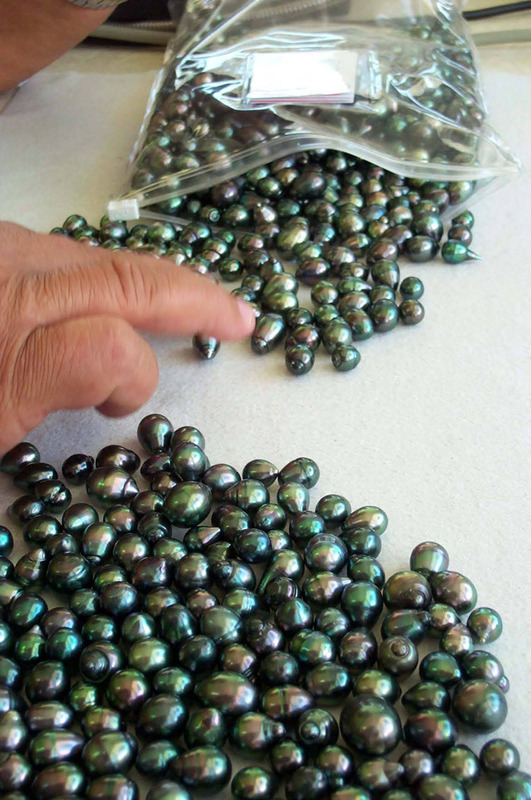 Pearl farms are located mostly in the Tuamotu and Gambier Archipelagos and employing 5000 to 7000 people. French Polynesia accounts for 90% of world production while the remaining 10% is generated by the Cook Islands and other Pacific Islands. The value of pearls is an important issue and a system has been developed to control exports and ensure the pearls are of high quality. Farm ed prawns Litopenaeus stylirostris are produced from several farms. Production of each farm varies from ~10 - 30 tonnes annually depending on farm type, semi-intensive or intensive. Annual production of sunfish tilapia (Oreochromis aureus) is estimated at 1 tonne. It is considered a quite valuable food fish in French Polynesia, with a restricted market. 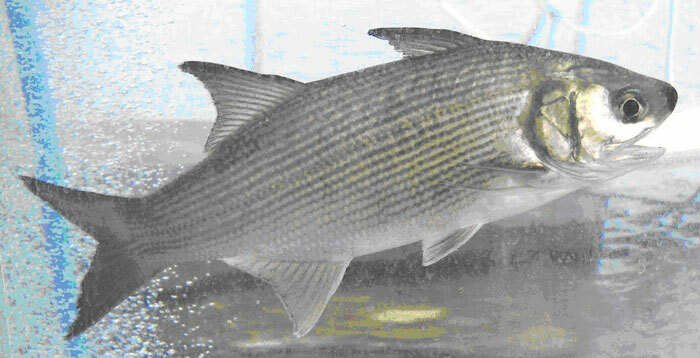 Barramundi (Lates calcarifer) farming is produced by one private pond farm and hatchery. Small-scale culture of jack-fish and rabbit fish juveniles captured from the wild (fringing reef) in cages is also practised. Production is actually at 5 tonnes. Other finfish species are being considered for aquaculture either from post-larvae collection, or from hatchery production. Post-larvae collection is developed by two farms for the aquarium trade and local market (stock enhancement for tourism or MPAs and aquaculture for flesh). Hatchery production is in R&D phase for two species (Moi -Polydactylus sexfilis- and Paraha peue “Platax orbicularis-) completed with a prophylaxis approach and a diseases expertise. Giant clams (Tridacna ma xima) spat collection and stock enhancement techniques are mastered in Eastern Tuamotu atolls. Small scale collectors should be born in 2007. Trochus shells, introduced in 1957, are regularly harvested from three atolls.